The hacking collective known as Anonymous says it has attacked UK government websites again. This time to protest the treatment of WikiLeaks founder Julian Assange. The websites of Number 10, the Home Office the Department of Work and Pensions and the justice department were targeted on Monday night and Tuesday in DDOS attacks, the group said. 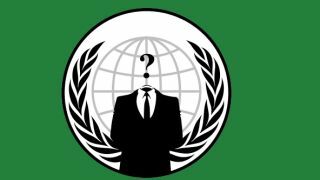 Anonymous is calling the action "Operation Free Assange." Assange, one of the most talked about men in the world, is attempting to flee the UK to take asylum in Equador. However, he is wanted on sexual assault charges in Sweden. Britain says it is obliged to extradite Assange to Sweden to face the charges. Anonymous is apparently unhappy with that and has told the UK government to "Eat C**k." Charming. "We're living in oppressive times," read a tweet from one Anonymous-associated Twitter account. "Sadly there's no other option than fighting even if that means being outlawed." The Home Office issued a statement saying: "The Home Office website was not hacked. It was targeted by protesters on Monday night but only experienced very minor interruption to the service. "We had measures in place to protect the site and no other Home Office systems were affected."